In order to get a full refund of your move in deposit, you need to discuss it with your landlord. Since just dusting and vacuuming is not acceptable when an inspection from the estate agency is imminent, your landlord will ask you to hire a professional End of Tenancy cleaning service, as a condition to get the full refund. Why not choosing us? 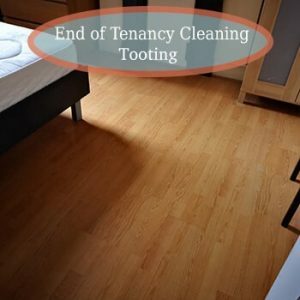 We have an immaculate record in the Tooting, we have never received any complaints from landlords, tenants of agencies. We will do the job for you, our service offers a deep clean of the property, we will clean and scrub the entire premise, in a matter of just a few hours. 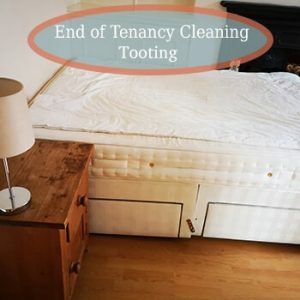 We are the only company, in the Tooting, that offers such a thorough cleaning of the property, for such a low price. Our team of experienced and professional employees, is famous with its punctuality, politeness, and efficiency. We bring our own high-tech equipment and all required detergents, so that’s one less thing for the client to worry about. Before, our team gets on with the job, we warn you that the premise must be empty and there are not supposed to be any personal belongings left, otherwise they will only obstruct the cleaning process. We assure our clients, that the property will be thoroughly cleaned, and there will be no additional tax or charges to the initial price. There is 48 hours guarantee after cleaning, so if there is anything wrong or unfinished, our team will come back, and deal with it. The only thing not included in the professional End of tenancy deep clean, is wall cleaning, and if you need to reschedule call 24 hours before the scheduled appointment. To be sure that you will be leaving on good terms with your landlord, you will need little assistance with the final cleaning. What is even better, you can be sure that you will be keeping the full amount of the security deposit. We are an elite cleaning company with a vast experience and set of skills required for the positive outcome of any cleaning session. The truth is that many people neglect the final cleaning which is the main reason these people are not able to obtain their deposits. Also, not leaving the property in the condition stated in the tenancy agreement can be bad for your tenant residential history. 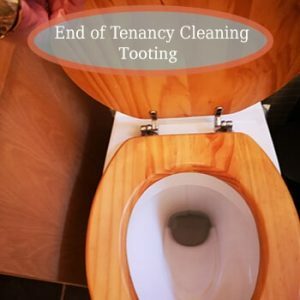 To avoid such series of unfortunate events, we suggest that you turn to our company in Tooting and book the fantastic end of tenancy cleaning services we offer. Then, once the appointment is scheduled, we will send a team of truly professional cleaners to do the final cleaning for you while you concentrate of things of greater importance. We assure you that every nook and cranny will be paid the attention it needs till there is nothing but sparkling cleanliness. Make sure to call us now. © 2019 Cleaning Services in Tooting | All Rights Reserved.